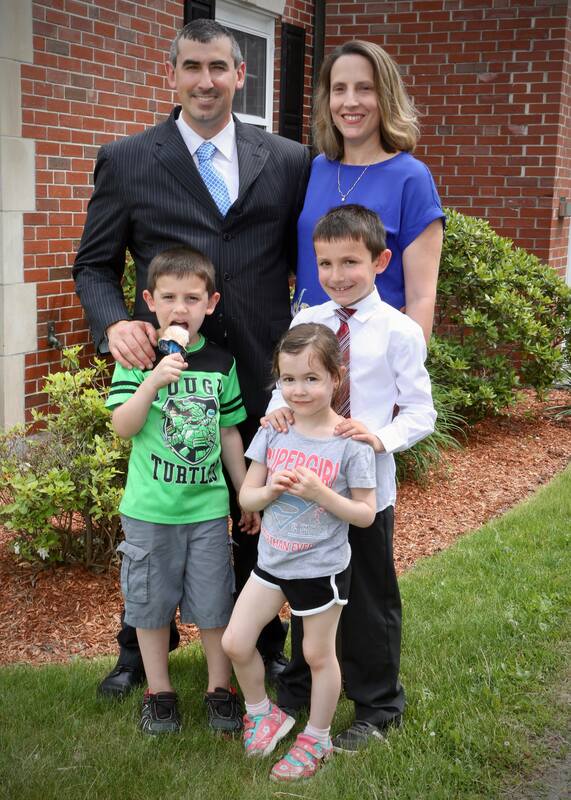 Meet Brian M. Palaia, a Senior Executive, Town Manager And Entrepreneur. As an experienced and accomplished Executive, Brian Palaia has served as a Town Manager, Board Member & Entrepreneur for 24 years. He has brought a vast knowledge of finance, general management, leadership, and project execution to all positions he has held. In this interview, Brian discusses his mantra’s for success and comments about executive team building, and leadership positions. Thrive Global. What gives you energy? BRIAN PALAIA: Being productive, helping people, seeing the wonderment in other people’s eyes, making a difference. BP: I do not think life has a hack. Life can be hard work and requires energy. If you want a rich life you need to find work or activity that will fit within your worldview that will give what you do meaning. For some people this is the work they do every day, because this is how we spend most of our time, for others it is family, for others it could be supporting a cause that needs help. Knowing that you are part of something and contributing to something that has a larger purpose than you will help you find happiness and sustain you in times of adversity. TG. Name a book that changed your life. BP: Night by Elie Wiesel. Wiesel lived through one of the darkest chapters of human history. This book is the account of his experience in a Nazi concentration camp as a Jew during World War II. His physical freedom is stripped away, his possessions taken, many of his family and friends are put to death, and he is forced to perform hard labor daily with little diet to sustain him. Yet, Wiesel finds the meaning and motivation to sustain himself with daily threats against his life for years and goes on to thrive after “Night” is passed. BP: I use my phone to great effect. It is great for following up on things, keeping in touch when you cannot be at your desk, and keeping momentum going on projects and tasks that may need some of your attention. It does have it limits though and find myself and others using emails and texts as a substitute for conversations that should occur by phone or in person. It is important to recognize we work with people that substituting technology all the time in place of personal communication can leave out personal interaction that helps convey ideas and intent which can lead to miscommunication. It also important to put an end to the day and stop responding to texts and emails so you can get some rest. In a role as Town Manager or Town Administrator we often where the hat of Emergency Management Director so being accessible 24/7 is important, but you can use your phone’s VIP settings to quiet down that technology without missing critical communications after hours. BP: I spend some time at the beginning and end of each prioritizing what emails may need more than a short response and take care of those say over a 15-20 minute period. A typical day for me includes planned tasks on existing projects, meetings, and events so I am not on my email responding constantly. If I get a few minutes between meetings or in between locations, I will sometimes respond to emails that only require a moments to respond. Many people over look whether a response is even needed, many times, people are only carbon copied on email and it is not intended for you to respond, so don’t. Just review the information and file it away for reference if needed. My answer is if you use a good deal of email in your professional life, just do not it manage you, there is not just one right system. Adopt a system that works for you. TG: You unexpectedly get 15 minutes in your day, what do you do with it? BP: Go for a short walk, get some fresh air, and reflect on how things are going that day. Use the time to briefly step back and visualize how you would like the rest of the day to go. Visualizing can be a powerful tool for success. BP: Losing sight of your over-arching perspective and the context of what you do can contribute to feelings of burn out. When you lose sight of that perspective mundane things seem like unpleasant chores that require too much energy to accomplish and the real unpleasant tasks that can be part of any job become that much more so. B.P: Failure is just a part of our life. We are not going to be 100% successful all the time. Things are not going to go as planned. I have often found that when I things did not work out as I hoped; it was because I undertook something when I was stretched too thin and did not have the resources to see it throw. Manage your expectations and the expectations of those you work with, strive to do your best. If it does not work out, review why with your team in a non-critical format, this will strengthen your team and improve your working relationship and ability to meet your goals together in the future.